India is surreal. It took days of being here, eating Indian food three times a day, and exploring the city outside of our college walls for it to feel real. This is a country I have dreamt of coming to for years. My fascination with this place started at a young age when one of my mom’s closest friends would tell stories of her travels across India. As the years passed, I became mesmerized by this country full of spices, ancient temples, lush green mountains, and deserts. Growing older I discovered my passion for working with the marginalized and dreamt of working with India’s impoverished. 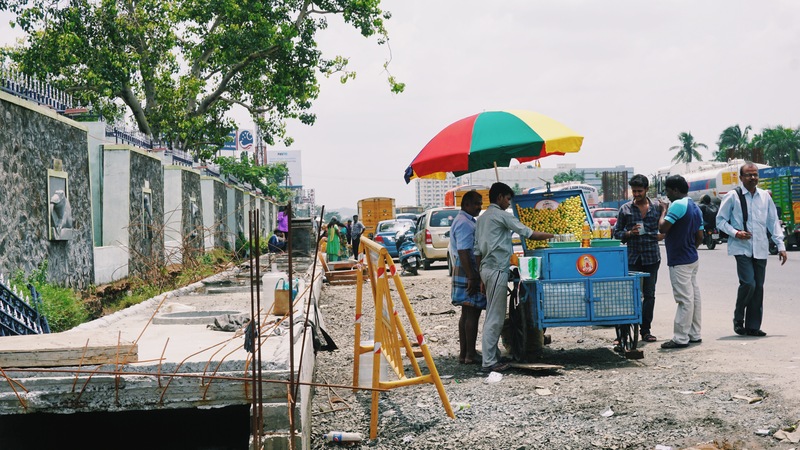 Our first stop is Chennai, India’s fourth largest city, in the southern state of Tamil Nadu. A city like this has so much to see and do, yet I cannot seem to get my mind off of the poverty that I have seen. Taking the train to the city, women whose bodies had been mangled by acid attacks passed by us begging. Later ladies surrounded us crying for help when we stopped for directions. Walking through markets in West Tambaram, the city just outside the walls of our college, poverty can be seen everywhere. People sleep on the street with animals, next to piles of trash, on the stairs of the train station, and just about anywhere people aren’t walking. 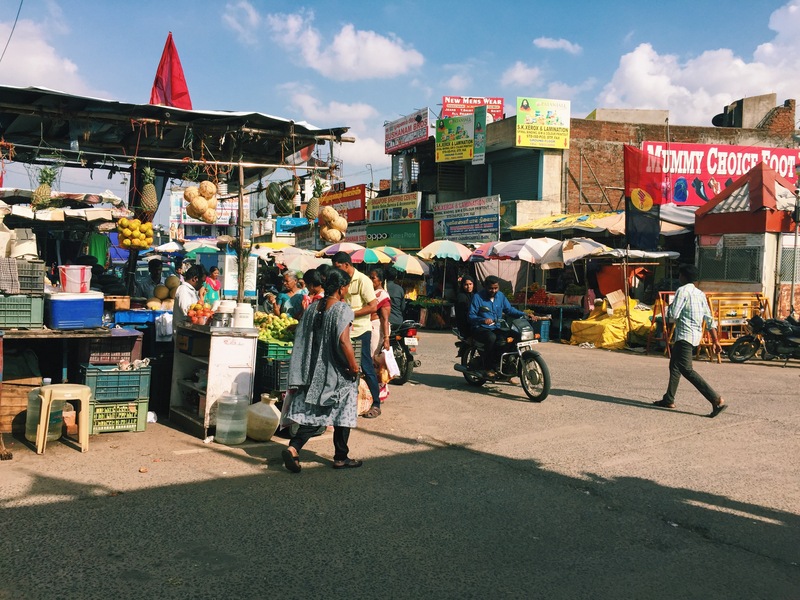 The night after our first trip into the city I woke up covered in sweat from a nightmare where a man had followed me from the Chennai train station back to my room at Madras Christian College, a 45 minute train ride. The whole way home he grabbed at my backpack begging and crying for food, money, or anything to help. We did not speak the same language, but I did not need words to understand that he was starving. That night I could not sleep, I woke up time and time again. This was my dream of India, but it was not the India of my dreams. After reflection, I think this nightmare stemmed from not knowing how to process India’s poverty and not knowing how to help. This past summer I interned at a local nonprofit called United Ministries. Over the course of the summer I learned about the resources in my hometown and government assistance programs in place to help those who need it. 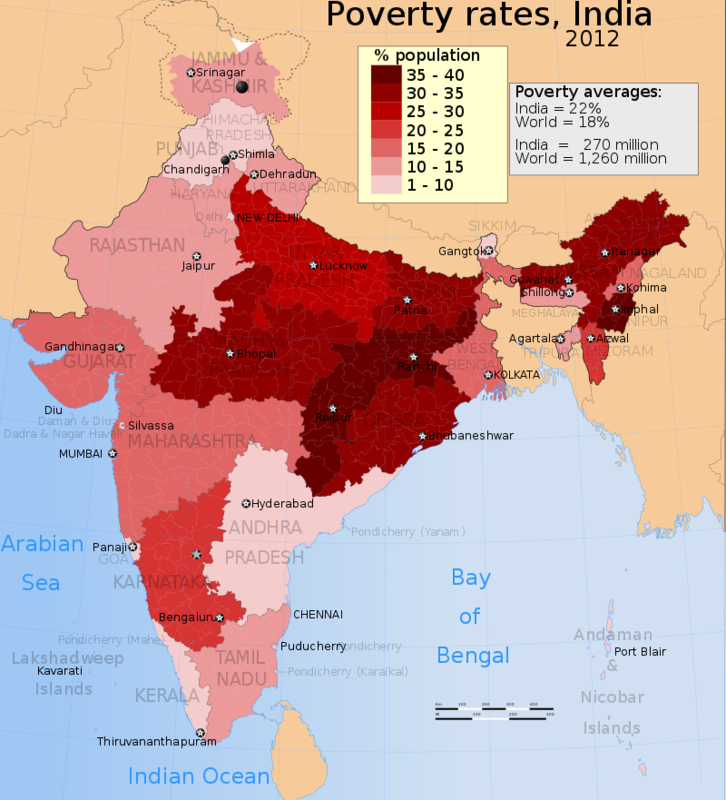 Like the US, India has government implemented anti-poverty programs which they call schemes. These anti-poverty programs seem to be on the rise as many have been created in the past twenty years with the realization that they help many politicians win elections. It will be interesting to learn more about these schemes during my time here, seeing which ones are really used to benefit the marginalized and which are mere ploys for political gain. When approached on the streets at home, I could refer people to different organizations instead of offering unhelpful, short-term handouts. I could tell them about one of the multiple places that they could receive a hot meal each day and show them how to access free medical care, housing assistance or a place where they could have multiple needs filled. Because I had such an understanding of the way things worked back home, I was not prepared for my lack of knowledge of the resources available to help people in India. I do not want this post to sound like I am unhappy to be here because believe me; I am in heaven. I am traveling to a place I only thought I would see in pictures. 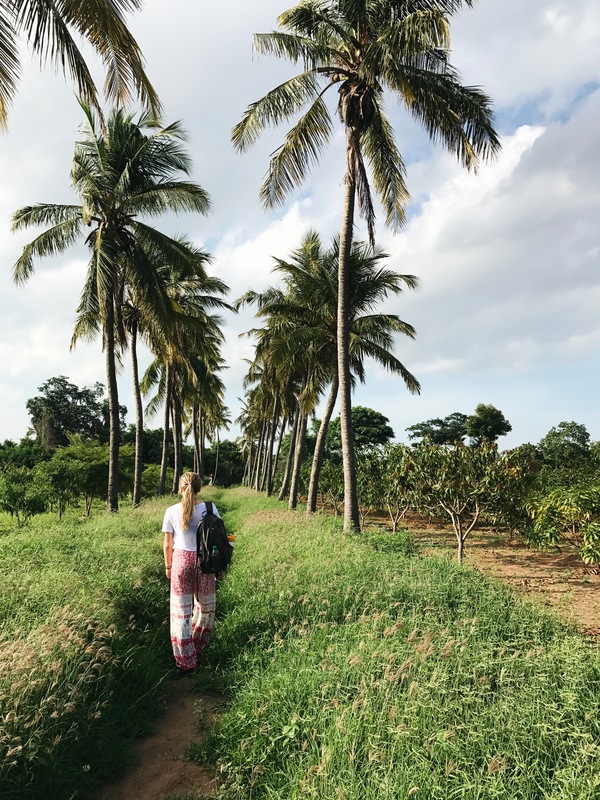 The India that I have dreamt of all my life does exist; the sprawling markets of spices and fruit, the ancient cities, the natural beauty, its all here and more. However, I had romanticized India, being incapable of understanding its poverty until I experienced it firsthand. My hard interaction with poverty has just grounded me, reminding me that there is much more to India than this. As of now I am an observer and that is something I need to be okay with. I am here to experience and learn about this incredible country that I get to call home for the next 16 weeks. The knowledge I gain from this trip will help me to assist those I see suffering around me in a way that I am incapable of at this point in my life.